The Sales Division is run by experienced sales professionals with 10+ years in the fashion industry, whose experience also includes work as buyers, designers, and merchandisers. We understand the business from both sides, have established relationships with retailers, including department stores and boutiques, and provide a host of services to help designers expand their lines and achieve the best sales results. We pride ourselves on offering unparalleled service to our clients and in providing a well-curated portfolio to both majors and specialty buyers in the contemporary market. We are committed to the brands we represent, believe in long-term growth, and are willing to invest our time and resources in the brands we work with, as we believe in them. We have great sales skills, a keen sense of presentation, and good closing skills. Sales Showroom. 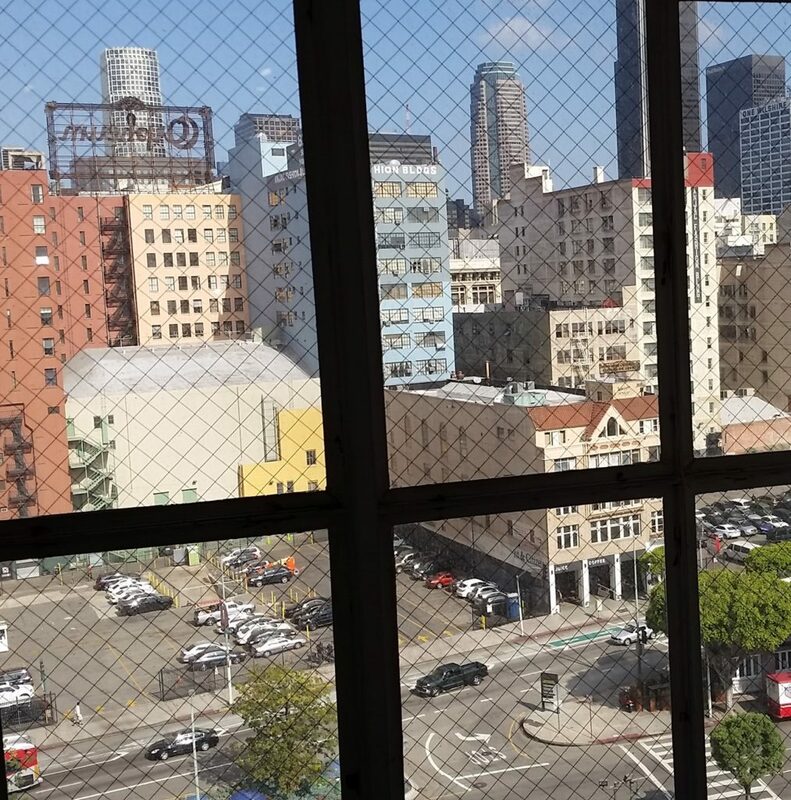 The Sales Showroom is located in the historic Newmart Building in the heart of LA Fashion District. 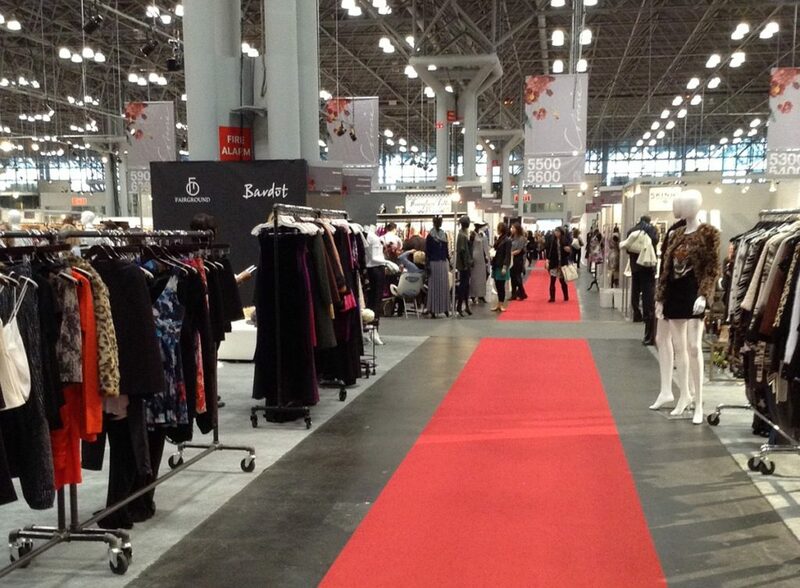 Our close proximity to all major brands and industry trade shows ensures maximum buyer visibility and easy access. Our Los Angeles showroom is open all year, and during all industry markets and events, and is available to our clients for private appointments throughout the year. We pride ourselves on offering unparalleled service to our clients and in providing a well-curated portfolio to both majors and specialty buyers in the contemporary market. We are committed to the brands we represent, believe in long-term growth, and are interested in working with brands that we believe in. We have great sales skills, a keen sense of presentation, and good closing skills. Editorial & Press Showroom. PR clients’ collections are permanently available for press viewing, and editorial pulls at our L. A. offices. Our contact database covers over 6,000 stylist, costume designer, and influencer contacts across the US, we also have an extensive network of media/press contacts in Europe. We maintain constant communication with costume designers, editors, and stylists to ensure maximum exposure for our clients. Market & Showroom Appointments: Our L.A. showroom is open during all markets and throughout the year. We set up buyer appointments prior to the markets, send market invitations and all sales & product materials to buyers. As needed by designers, we may also host special events showcasing the designer’s collections during market, at the showroom or another location. After markets, we send follow-up communication to retailers, and periodic communication between markets. Road Appointments: Our sales reps regularly visit their areas and present the collections to buyers, at in-store appointments. 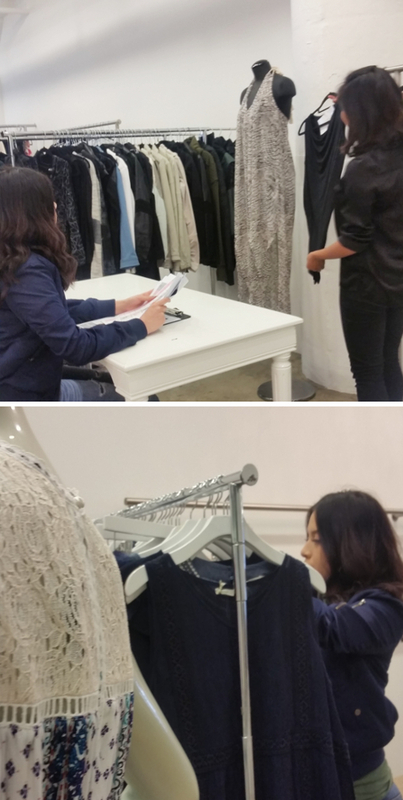 If necessary, we take a fit model along with us to try on samples. In-store Trunk Shows & Promotions: We organize trunk shows with key retailer accounts to build a closer relationship between the designer and the boutique, as well as the end consumer. This also allows the store to pre-sell merchandise, and is also good for immediate merchandise sales. Sales Communication & Buyer Updates: We maintain communication with store buyers and designers from initial contact, through the ordering process, answering any questions, provide advice and feedback as needed. We send regular updates to buyers and product purchasing influencers, including updated product information, line-sheets, and recent press received by the line. We use various ways to maintain communication and keep the line fresh in the buyer’s mind. Update clients of new buying opportunities, discounts, significant press. Order Processing and Follow-up: We ensure information on sizes, colors, and all details of merchandise ordered are transmitted to designer, and that orders are smoothly processed. We follow up with the buyer after shipping to ensure everything is in order. We transfer all buyer feedback, size, and product fit issues to designer, and assist with resolving issues. We process merchandise returns and issue Return Authorizations. Order and Payments Tracking, Collections: Tracking orders through customs clearance. Receive international bulk orders and ship individual orders to US destinations. Forward samples to buyers. Liaison between designer and boutique to ensure payments are processed and collected. One of the most important ways to increase sales and launch a brand, particularly a global brand, is participation in Trade Shows. We participate in trade shows in Las Vegas (Project, Magic, Pool), New York (Coterie, D & A), as well as smaller trade shows in Dallas, Chicago, Phoenix, and Denver. We also have experience and relationships with the Paris trade shows (Who’s Next, Premiere Classe, Tranoi). Through our network of contacts, we also provide designers with well-placed showroom space for exhibiting during major and regional markets, as an alternative to trade show participation. Emblem Showroom assists designers with exhibiting at trade shows. We take care of the administrative duties, the installation of the booth, select a team and assure the follow up of the sales. According to your country of origin, we can also help your brand to get governmental subventions, if available. Our showroom is open for all L.A. Market Weeks. Prior to Market Dates, we solicit buyer appointments and send latest product information. We follow up after market with phone calls and email.